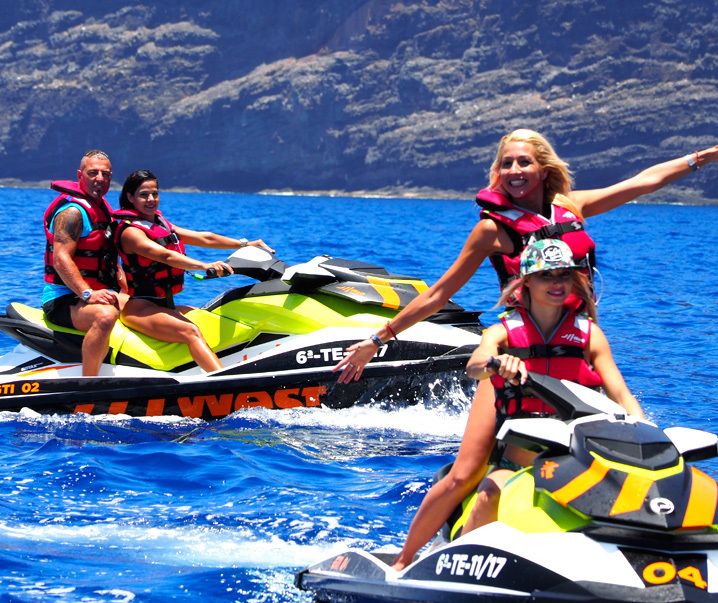 The excursion offered by West Tenerife is a truly irreplaceable adventure that allows you to drive fast jet-skis all along the coast of Los Gigantes; you will fully enjoy riding those big vehicles while admiring the massive and typical cliffs of Southern Tenerife on the horizon. Nevertheless, although jet-ski represents the major part of the excursion, this excursion is not just a jet-ski tour; actually, it also includes a small break on the coast, near the cliffs, where you can have a rest after driving. 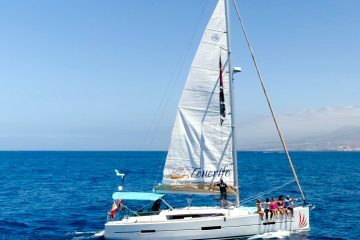 At this moment, you will be able to eat a fruit and dive in an exclusive area which is only accessible by boat, with the help of a sea scooter you can grab hold of to dive under the water’s surface and admire the most characteristics fishes of Tenerife. You also have a surfboard at your disposal to get to your feet and row while trying to maintain your balance; this is a true challenging experience to keep the balance and pull the oar to move forward a few meters. After this quick break, we get back to the coast of Los Gigantes through an alternate route, so as to enjoy the trip from another point of view. 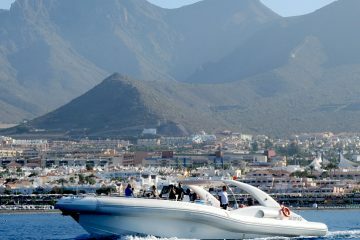 In short, this is a fun-filled, action-packed activity, perfect for who enjoy practicing water sports and discovering truly unique spots such as Los Gigantes and its harbour, but also the surrounding coast and some hidden coves only accessible by jet ski. At the beginning of the trip, you are being provided with a go-pro camera to fix on your jet-ski in order to get a very nice souvenir you can bring back home after the excursion. The excursion is performed with brand new Sea-Doo BRP GTI90 17 jet-skis (2017). The excursion is recorded on GoPro Hero 5 Black cameras. GoPro Hero 5 Black camera (caution). It was awesome! We go 4 friends and we had a very good trip, thanks again to the team!